#15 Lehigh (6-1 Overall, 1-0 Patriot League, 3-1 Road) hits the road to Christy Mathewson-Memorial Stadium (pictured below) in Lewisburg to face the Bucknell Bison (2-4 Overall, 0-1 Patriot League, 1-2 Home). Lehigh is coming off their first Patriot League win of the season after dominating Georgetown 45-28 last week at home. 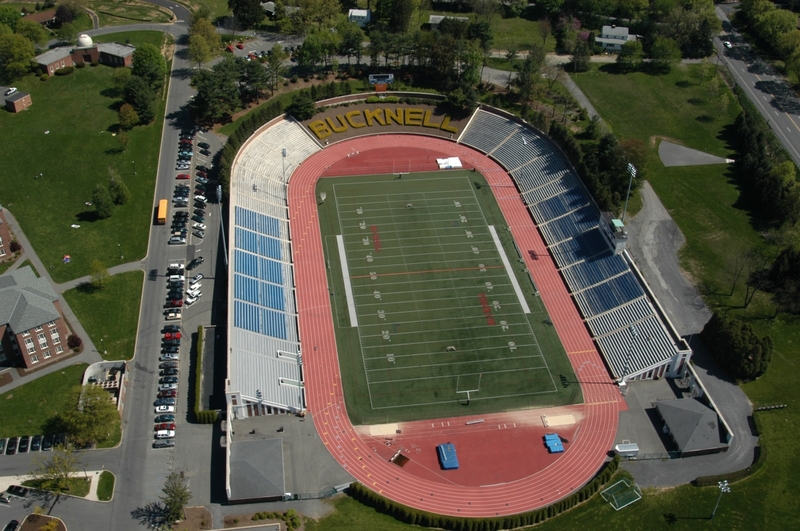 Bucknell is coming off a win at Dartmouth in which they rallied in the fourth quarter on their way to victory. The Bison’s only Patriot League game this season was three weeks ago when they traveled to that school in Easton and lost 31-7. Lehigh crushed Bucknell when these two teams played last year by a score of 42-19 for their fifteenth straight victory over the Bison. Christy Mathewson-Memorial Stadium sits 13,100 fans and features field turf. The Mountain Hawks’ offense exploded on the ground last week while gaining a lesser, but still good amount of yards through the air. Expect the offense to stay explosive, but more so through the air. The ground-game should return to normal as they’re facing the top-rushing defense in the League. On the other side of the ball, Lehigh’s defense is trending well in terms of yards allowed. If they can force turnovers, it’ll be a long day in Lewisburg. It’ll be tough for me to match my prediction from last week, but Lehigh wins against Bucknell 48-17.